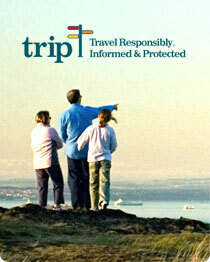 Founded in 2004, the US Travel Insurance Association represents the nation's largest travel insurance organizations. Our mission is to foster ethical and professional standards of industry conduct, cultivate effective state and federal government relations, inform and assist members, and educate consumers. At over $2.2 billion in annual revenues, the U.S. travel protection industry safeguards tens of millions of Americans who travel at home and abroad every year. Travel protection is unique within the insurance industry in that it offers an unusually broad range of benefits and services. Bundled together to meet travelers' distinctive needs, travel protection often includes assistance services such as worldwide emergency hotline services and medical evacuation, along with insurance benefits for cancelled or interrupted trips, medical and dental emergencies, lost or damaged baggage, damaged or stolen rental cars, and travel supplier bankruptcies, among others. Travel protection products are distributed by travel agents, travel suppliers such as cruise lines and tour operators, credit card companies, insurance brokers, and over the internet.